Your customers will love watching time pass with this promotional giveaway. A ballpoint pen with floating sand timer in top barrel section and metal barrel. 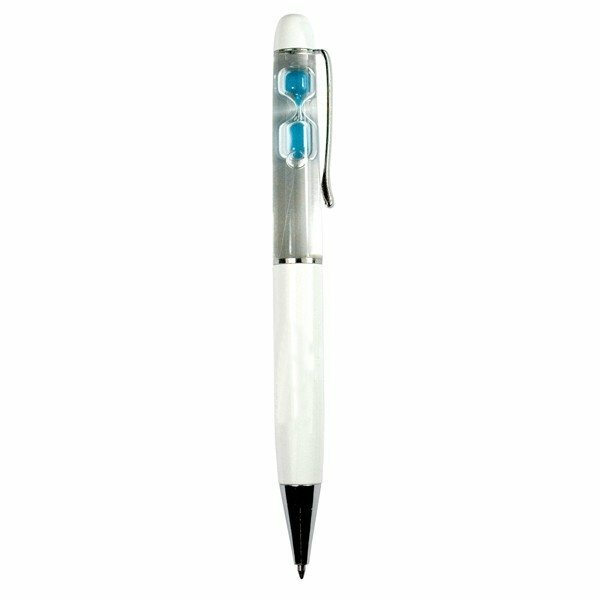 Customized with your company's logo or slogan your clients will treasure this unique pen forever! This pen is perfect for custom inserts. Call to find out how easy it is! Got what I wanted and everything came out just as I asked. I have recommended AnyPromo to many people. They're great and excellent for the needs. this is a very nice set for the price. Nice quality! these are a hit on sales calls, impressive and well done. We will not hesitate to order from you again for things like this. I have been very satisfied with your services. Great poduct for the right price. AnyPromo.com orders are complete, correct, and shipped on time It was a pleasure dealing with your company. Printing was nice.